Welcome to our website about the terrestrial, land snail Daedalochila triodontoides, which is more commonly known as Marsh Liptooth. This website has been designed for the education on Marsh Liptooth. You will find information about its classification, where it lives, its preferred conditions for mating, what other organisms it interacts with and much more! Marsh Liptooth has not been studied very much. 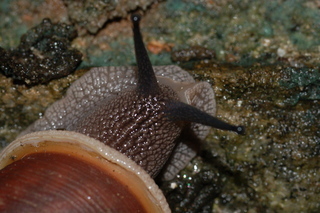 However, there is more knowledge about its class Gastropoda and family Polygyridae. To start off your journey of discovery about Daedalochila triodontoides, first look at its classification! If you wish to learn more about Marsh Liptooth, other snails, or even other organisms, then you can visit Encyclopedia of Life, ZipcodeZoo, or Snail world. This site is also part of a larger project at multipleorganisms.net or Wisconsin Snails list.